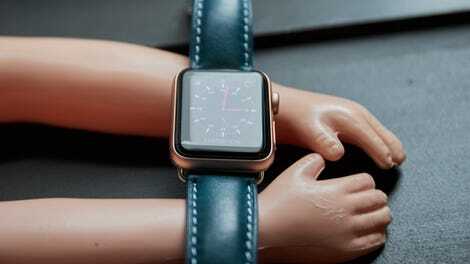 The Apple Watch Series 3 is different. 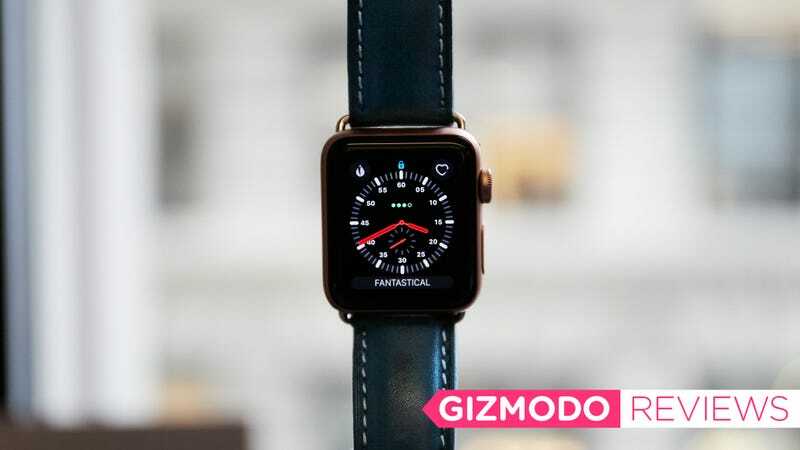 It’s the first Apple Watch with a cellular connection built in, and while that might not seem like a big deal—Samsung has been doing cellular service in smartwatches for a while—it absolutely is. This is connectivity implemented right, and when the Series 3 works as Apple intends, it shows off exactly what a wearable should be. The Series 3 is just a little bigger than the Series 1 and 2. From left to right: Series 3, Series 2, and Series 1. I’m still not crazy about a square watch, but the Apple Watch is popular enough now to function as a nice unisex time piece. Samsung’s cellular enabled competitor is for the big wristed only. The red dot on the dial is how you tell a cellular enabled Apple Watch from a GPS-only one. Last week I flew to San Francisco and left my phone in my purse and handled my Lyft, the TSA checkpoint, and boarding all with my watch. Even with heavy use, I still managed an easy 24 hours. Not ideal in the face of watches that last all week like the Fitbit Ionic, but whatever, I actively use the Apple Watch every day, and I use it for more than notifications, to tell the time, or to track my vitals.